Growing Brain is a video production company in Melbourne, Australia. Growing Brain represents a growing network of creative types who’s aim is to create original content for screens of all sizes. 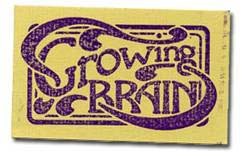 Growing Brain’s Mission is to create work that is exciting, entertaining and thought provoking. It seeks to learn and grow, as well as to team up with groovy organisations and help them develop and promote their messages.